Dr. Erroll G. Southers writes about homegrown violent extremism, radicalization, and aviation and transportation security. He is the Director of Homegrown Violent Extremism Studies at the University of Southern California (USC) Safe Communities Institute. He is also a Professor of the Practice of Governance at USC’s Sol Price School of Public Policy, and he is the Managing Director of the Counter-Terrorism and Infrastructure Protection Division of the international security consulting firm TAL Global Corporation. Southers is a former FBI Special Agent, President Barack Obama’s first nominee for Assistant Secretary of the Transportation Security Administration and Governor Arnold Schwarzenegger’s Deputy Director for Critical Infrastructure of the California Office of Homeland Security. Southers was the Assistant Chief of Homeland Security and Intelligence at the Los Angeles World Airports Police Department, the nation’s largest. He began his law enforcement career with the Santa Monica Police Department and was appointed to the faculty and tactical staff of the Rio Hondo Police Academy. In the FBI, he investigated foreign counterintelligence and terrorism matters and served as a member of SWAT. He has testified as a subject matter expert before the full Congressional Committee on Homeland Security and lectures at the Joint Chiefs of Staff Antiterrorism Seminars. 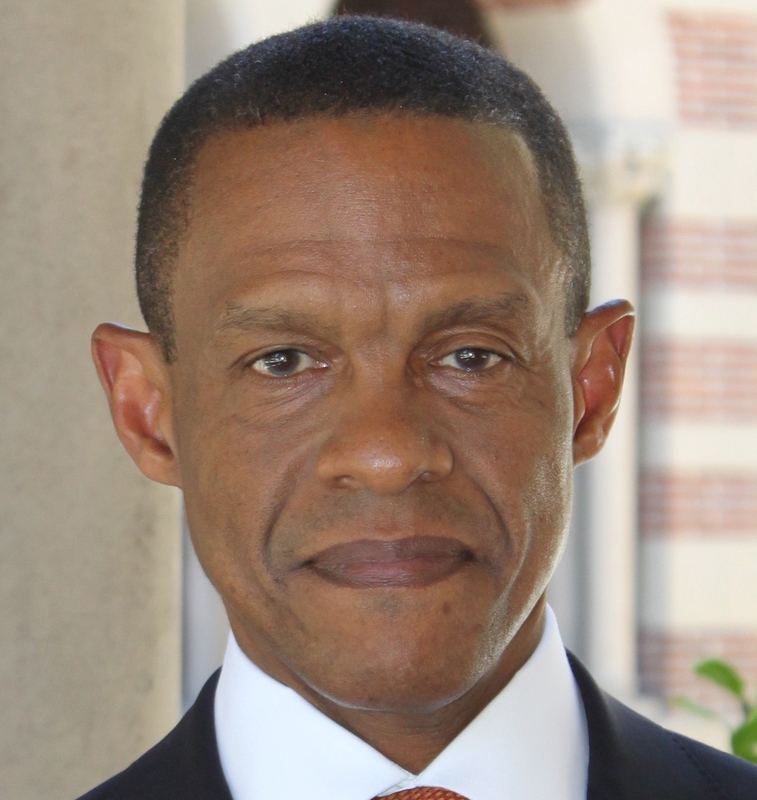 Southers earned his BA degree at Brown University, and his MPA and doctorate at USC. He is a Senior Fellow of the UCLA School of Public Affairs and Visiting Fellow of the International Institute of Counter-Terrorism in Herzliya, Israel. He lectures widely on terrorism and international security and has appeared on CNN, MSNBC, NPR and a host of other media outlets. Read more about Southers’ work and writing on his website. The inevitable happened on Friday—fighting erupted outside of a Donald Trump rally in Chicago. This was only a small example of things to come. The presidential race is creating the enabling environment that completes the perfect storm of violent extremism. The United States is having a discussion about law enforcement and violence. No one rejects the sentiment that all lives matter, except for one group: homegrown violent extremists. To them, no lives matter, and in the United States, homegrown attacks against law enforcement are occurring at an increasing rate. The United States has a problem with violent extremism. We are seeing an accelerating trend in the occurrence of violence driven by extremist ideology. Our current approaches to this problem are insufficient; new solutions are needed. Enter the University of Southern California Safe Communities Institute (SCI). After the shooting at a movie theater in Lafayette, Louisiana, there is a desire to neatly categorize an attack and define why someone would commit such a heinous act. The challenge, however, is that legal terms like “hate crime” and “terrorism” belie a deeper truth: these kinds of actions are instances of homegrown violent extremism. The House Homeland Security Committee held a hearing on what the federal government is doing to counter terrorism; the Committee also passed the Countering Violent Extremism (CVE) Act of 2015. Countering Violent Extremism (CVE) is yet another acronym in the fight against terrorism and perhaps another chance to get it right. Last week, there was yet another ideologically motivated attack in America, complete with a manifesto and racist, symbol-laden photos posted to the Internet. The shooting at the Mother Emanuel AME Church in Charleston is a textbook example of homegrown violent extremism (HVE). The Boston Marathon bombing was the first terror attack on a sporting event since the 1996 Olympic Games. It was a terrible reminder that violent extremists are constantly seeking targets that capture public attention but are difficult to secure. Enter DHS’ Best Practices in Anti-Terrorism Security (BPATS) guide. The shooting of two police officers in Las Vegas is the latest example of a growing trend in anti-government extremism, one that has not received appropriate public attention and concern despite presenting a lethal threat to all Americans.